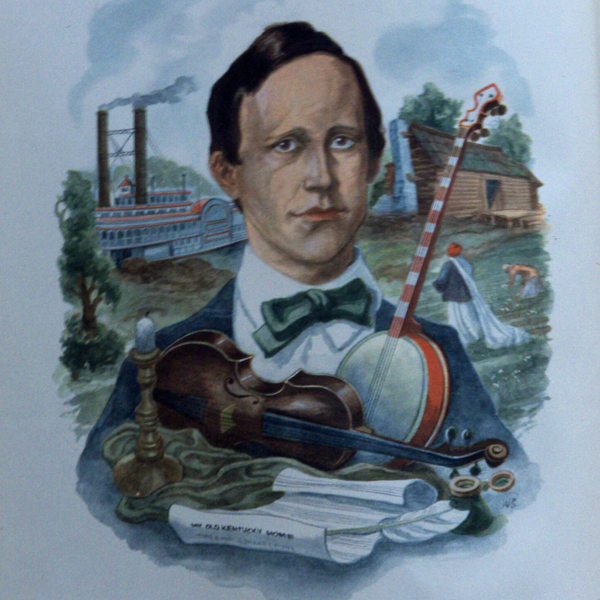 Stephen Foster was America’s first great professional songwriter. He was the ninth child of William and Eliza Foster — arriving on earth July 4, 1826, as our country was celebrating 50 years as a nation. Stephen was loved by his family, who nonetheless failed to understand both his artistic temperament and his dreaming, indolent ways. The boy attended schools in the Pittsburgh area but was not at all interested in schooling nor in business. He tried a number of occupations, but none of them seemed to suit. As a child, Stephen spent much of his time playing music and writing down the melodies that were constantly streaming through his mind. His father discouraged his becoming a musician. He wanted his son to find a more practical occupation. Foster’s true love for music was just too great to be denied. Eventually, the whole family accepted the fact that Stephen WAS a musician. Once this happened he surprised everyone by throwing himself wholeheartedly into musical composition. In 1849, he wrote the popular “On! Susannah,” which became the anthem of the gold rush and the ‘49ers. The popular piece sold over 100,000 copies. This was followed by “Camptown Races” and “Old Folks at Home” (a.k.a. “Way Down Upon the Suwanee River”). All of his music sold extremely well, but at this time in US history the music industry was in its infancy. As a result, Foster received a pitiful percentage of the earnings from his music. He fought poverty his entire life. Foster left us over 200 songs—a substantial gift. I believe the heart of this legacy are the 135 ballads or romantic parlor songs he composed. These wistful melodies speak of home and family and exude a longing for the “special other” who can bring joy and contentment to one’s life. 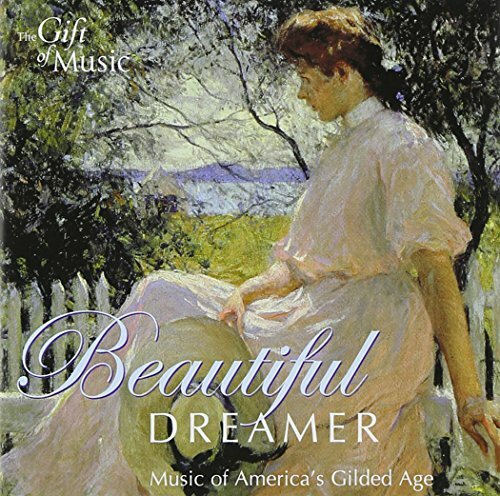 Songs like, “I Dream of Jeannie with the Light Brown Hair,” “Katie Bell,” “Wilt Thou Be Gone Love?” “Sweetly She Sings, My Alice Fair” — and the extraordinarily magnificent “Beautiful Dreamer” demonstrate the depth of Foster’s perception of love and the beloved. To me these words depict, once again, a longing or yearning for the perfect — the beautiful — the true. It is like Foster is pleading, “God, please wake within me — and in my world — that Divine potential. If this happens I know my clouds of sorrow will depart. According to Elizabeth Clare Prophet, an American New Age minister and religious figure, the dawning Age of Aquarius will bring us the awareness of God as the Holy Spirit and as the Divine Mother. In this age, both men and women are destined to develop their feminine side—the creative, intuitive, nurturing and compassionate side of their soul. The prophets say that Aquarius has potential to be an age of freedom, peace and enlightenment, a time of technological progress combined with spiritual development. (Technological progress without spiritual development would be disastrous!) This Aquarian Age has the possibility to be a time when we break free from a warring past — and let the spirit of cooperation and conflict resolution become THE basis of every relationship—cooperation between God and humanity, and among people everywhere. Beautiful Dreamer has been recorded by many artists. My personal favorite is the YouTube rendition with the Irish Tenors. So find a comfortable chair, sit back and relax, breathe slowly and deeply, and meditate on the role of the Divine Feminine — the Role of the Divine Mother in your personal life.